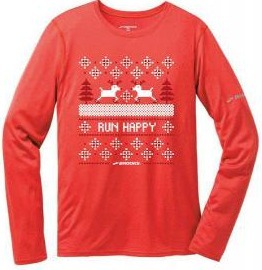 Home › Latest News › Ugly Sweater Run! It's that time of year again! Christmas cookies, holiday shopping, presents under the tree...and yes, UGLY SWEATERS galore! Break out your best holiday get-up and join Fleet Feet Sports Severna Park and Brooks for a festive and fun Ugly Sweater Run! This is a FREE event and we welcome anyone and everyone of all fitness levels to join us for a run on the B&A Trail. Warm up with afterwards with hot chocolate, snacks, and prizes! *After the run we will have a WINTER WARRIORS INFORMATION SESSION for everyone interested in joining our 12 week group run program! To sign up for the Ugly Sweater Run click HERE!